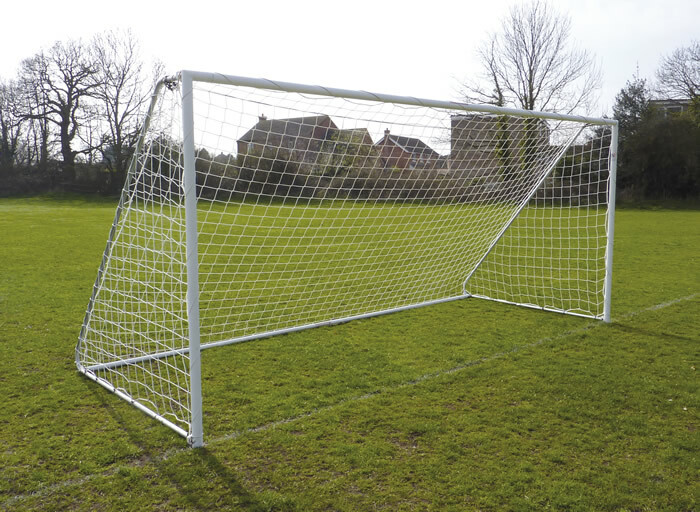 Steel 9v9 freestanding goals with FOLDING back tubes, crosbars and uprights made from 60mm diameter steel powder coated white. Galvanised sideframes, backbar and crossbar. Zinc plated 32mm steel back supports. White 3mm thick 120mm mesh nets. 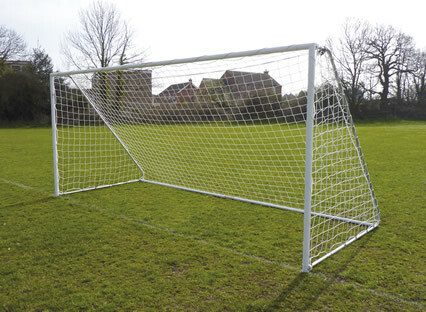 Each goal frame weighs 47kgs.